B4S - For all serving military personnel. 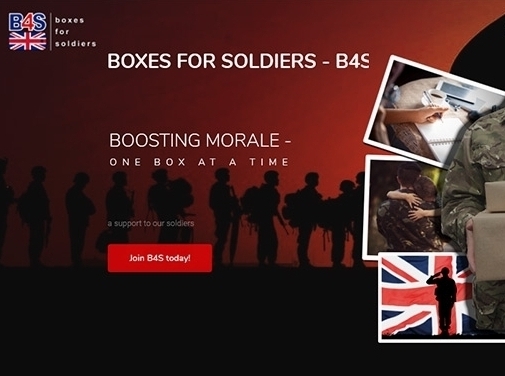 With a developing website and mobile phone apps to download and use, B4S offer the first every project aimed at letting the Army, Navy or RAF personnel list all their wants and needs and then share them with their friends and family. Now you can get the goods you need not what your friends family or even charities and people wishing to help send, which can be nothing that you need. No you can simply list everything that you need, how often you will need it like toothpaste maybe a new tube every 3 weeks or five cartons of apple juice every week. Now you can list everything you really need and everyone will know because you will have shared it across your social media, from Facebook to Twitter to Whatsapp and elsewhere. You can even test or email the details to all your friends. Then simply wait for the messages to start popping up as the parcels start getting posted. But don't worry, the whole system is controlled so as people choose an item is is removed from the list for 4 days unless the sender presses the button on the mobile app to say they have sent the care package. We have struck a deal with Tesco supermarket and we have access to their entire database so that we can list everything they have to make your choices easier. You can add anything from any shop, store or outlet, whether its boots a new bergen or a special bar of chocolate, you make the choices, wea re just trying to make life easier for you and your family and friends. You can either wait to see communication from your friend in the military or go online and search for them, then simply add them as a friend and start going through their list to choose the items you wish to send. Don't forget, you can send surprises and other goodies, but this list will have been added by him or her and will be what they really need. We have now added a new website to offer special discounts to all military personnela nd their family to include veteran/ retired and disabled personnel. Take a look and offer any suggestions to improve the site, it is here to help you. UK based project - established in 2015 - providing care packages for military personnel. Website includes details of services provided, news section, contact form.